My favorite thing about these challenges is that I'm really challenged. That is, to try something different. And there are two options everytime. This month, the easy challenge is to use browns in your project. 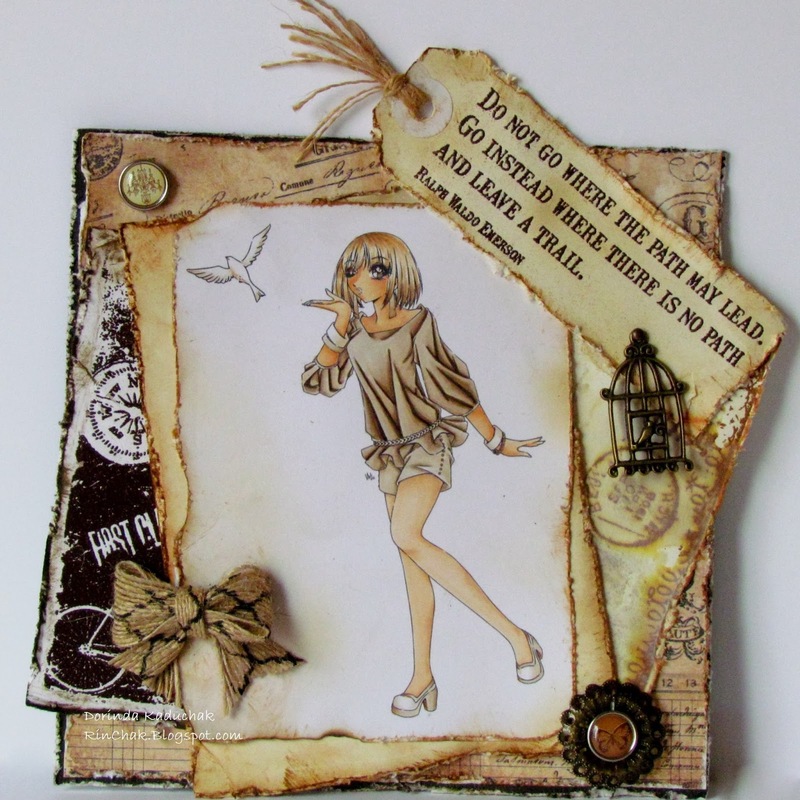 The hard challenge is to use only brown, creating a Sepia, Vintage look. I truly learn and try something new every month I participate. I added several embellishments to enhance the aged feel. I used several stamps from the TPC Studio Travel collection with Tim Holtz detress inks. ditress the edges and played till I found something I liked. The sentiment is perfect for graduation, new job, new town...anything. Love it. Dorinda, you nailed this challenge theme! !